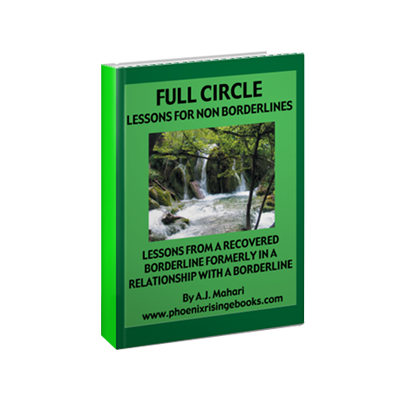 This ebook, is 116 pages of insightful must read information that will help Non-Borderlines free themselves emotionally from the chaotic and painful rollercoaster ride of loving (or having loved) someone with Borderline Personality Disorder. 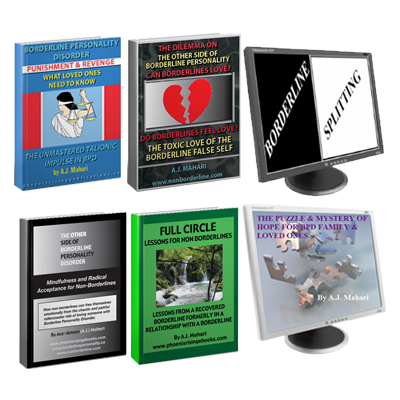 This ebook, is 116 pages of insightful must read information that will help Non-Borderlines free themselves emotionally from the chaotic and painful roller-coaster ride of loving (or having loved) someone with Borderline Personality Disorder. 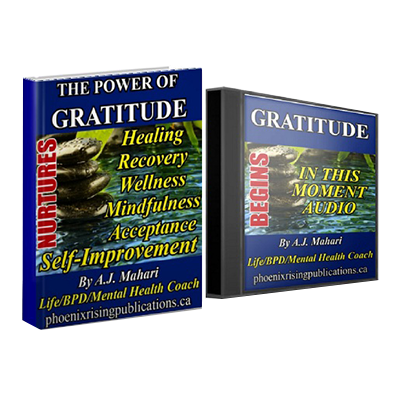 This ebook consists of eight chapters that will enhance the journey of anyone who has (or has had) a borderline in his/her life. A.J. 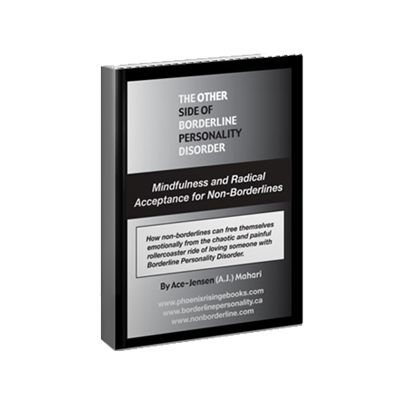 writes insightfully about how Non-Borderlines can free themselves from the chaotic painful drama of the borderline in their lives through the practice of Mindfulness and Radical Acceptance. When a non-borderline is lost in the tumultuous world of a borderline it can cause untold pain and suffering. A.J. outlines 3 reasons why non-borderlines often remain hooked into the borderline’s drama. A.J. also outlines the 3 main roadblocks to the practice of Radical Acceptance for Non-Borderlines as well as describing what keeps non-borderlines trapped in their own pain and suffering.